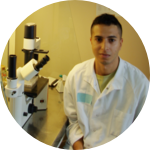 My name is Karim Djebali, I am 26 years old and I graduated from the Faculty of Dental Surgery of Toulouse in France. I am currently doing the second year of a research Master's degree in digestive health and nutrition at Paul Sabatier University. I am doing this dual course because I want to work in biomedical research to cure inflammatory diseases related to intestinal and oral microbiota dysbiosis. The United States is a leading destination for biomedical research. I had the chance to do two research internships at major universities such as Harvard and Stanford. As part of the second year of my research Master's degree in digestive health, I started a project at Harvard/Massachusetts General Hospital on the study of a probiotic use to prevent necrotizing enterocolitis. Thank you for your consideration and your support. 1st time point completed ! Thank you everyone for your help !